Nokia mobiles are always popular for being quick and smart in realizing the dream for mobile set users. Nokia mobiles have made some important inventions in the world of mobile technologies. We have seen some terrific and high end technology driven mobile handsets by Nokia. This time too Nokia has announced it new addition of Nokia Lumia 620 which is to be made available in the market sometime in January, 2013. This mobile handset inherits the features of LUmia series. It runs on A 1GHz dual-core Qualcomm Snapdragon S4 processor which is a powerful Microsoft platform.Thus this Lumia phone uses the latest version of windows 8 phone. When speaking about Nokia Lumia 620 features we start with its display scree which is veretty much larger and this help in tapping the larger live tiles on the screen. The handset has a 3.8 inch display screen of WVGA resolution of 800×480 pixels and has ClearBlack filter technology that will cut down on the glarefactor. This nokia handset which is Windows Phone 8 device has innumerable apps for music lovers, easy navigation and great photography. It comes with 7GB fee Skydrive storage, Internet Explorer 10 and access to Xbox. Gamers and music lovers will simply jump on to this one. There are innumberable apps has comfortable navigation. The connectivity features like Bluetooth, EDGE, GPS, WLAN, Wi-Fi,2G, and 3G support are there with NFC connectivity which helps in pairing with accessories of Nokia. The camera is of 5MP with Cinemagraph lens and video recording is available with colorful and smooth 720p HD video facility. There is also a front end VGA camera enabling video conferencing and chatting. The handset device is powered by battery life of 1300mAh and supports 9.9 hors of 3G talk time and 14.6 hours of 2G talk time. This device has as stand by time of 330 hours with 61 hours of music playback. Lots of gaming and music are to be experienced with this device. It supports huge range of colours so the pictures and images are decently bright and sharp. Nokia Lumia 620 price is not exactly fixed and can be estimated to be something around Rs. 13,000, with various strong features this handset will certainly be the value for money. This Nokia Lumia set is available in different hues like yellow, orange, cyan, magenta, black and white. The mobile has the youthful look and the features will certainly please the young generation as well as other smartphone users. The operating system and the hardware configuration which the handset stands on is completely reliable. The pictures taken to capture the memory with its quality lens will be something to cherish forever. Nokia Lumia 620 pictures can be viewed on the internet to get better notion. Nokia Lumia launnches its new lumia series 820 in december in india..
Maruti Suzuki Gypsy, which first arrived in the Indian car market some 27 years ago ruled the roads for a very long time. 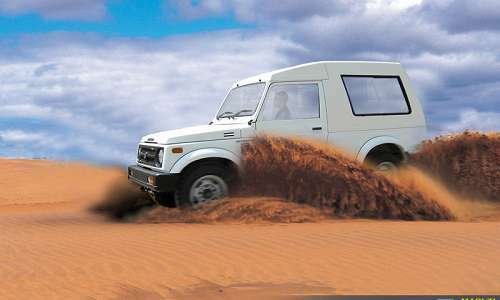 It was the first SUV launched in Indian market thus was highly cherished by people seeking for powerful four wheeler. But with changing time, a number of other manufacturers arrived with their SUV due to which Gypsy kept losing its grip from the market. Now, to reclaim its superiority, the manufacturer is planning to follow some steps so that the vehicle can achieve the past success once again. One such step is to make this vehicle as pocket friendly as possible. Due to this reason, Maruti Gypsy price is decided at an amount of Rs. 6.09 lakh. That time, being a vintage looking car was the guarantee of success because most of the people cherished such vehicle that provides them with a royal feeling. But the time has now changed and until or unless a car is not luxurious looking, people are not going to like it. Keeping this in mind, the manufacturers have made quite a few changes into the design of the vehicle. Just browse through several Maruti Gypsy pictures and those changes are clearly visible. 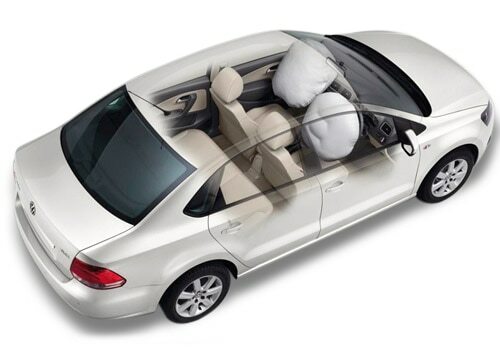 High seats are the most prominent change made into the vehicle that ensure easy for the passenger to get in and out of the car. Along with this is the two set benches inside the soft top version, while the hard top version sports regular bench in it. The car is still devoid of airbags and newer seat belts, which is not a good thing at all. 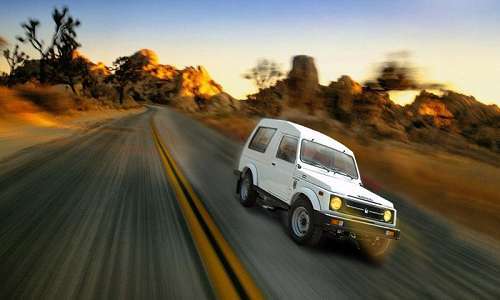 The Maruti Gypsy features a 4-cylinder 1.3 liter 1298cc petrol power mill. It produces a peak power of 80bhp at 6000RPM and peak torque of 103Nm at 4500RPM. The engine is mated with all wheel five-speed manual transmission which ensures a comfortable and smooth driving experience. The car is also pretty fuel efficient and delivering excellent mileage on both city roads and highways. The current Gypsy is the finest off road 4x4 vehicle in the Indian market at the moment. But, the Maruti Cars are pretty concerned with the decreasing demand of the vehicle. Making all these efforts was a necessity and after going through such remodeling, we may anticipate the power vehicle lovers will certainly love the new incarnation of this car. And to entice them more, there is affordable price tag that is far more affordable than any other vehicle of this segment. Here is a good news for all car lovers that cardekho launched its open forum. LG Mobiles has launched their new device in Indian mobile market named as LG Optimus Vu which will compete Galaxy Note II according to it's price and features. The device is now available through online store and the store has kept LG Optimus Vu price at Rs. 34,500. LG Optimus Vu pictures reveal that the device is having a glossy and very attractive body which is looking very nice. It is having a slim body of dimensions as 139.6 X 90.4 X 8.5mm and having the weight of 168 grams so it is easy to carry anywhere without having any kind of size and weight issues. LG Optimus Vu features reveal that it is having a 5 inches HD – IPS LCD multitouch touchscreen with the 16M – color capacitive functioning. This touchscreen phone display has the resolution of of 768 X 1024 pixels. So user can watch videos, play games and can do a lot of things. Optimus Vu is having a LG Rubberdium stylus and a Quick-Memo button just like Samsung. This smartphone is working on the Android Operating System of version v2.3 Gingerbread which makes it user friendly. Optimus Vu is having a Dual-Core ARM Scorpion processor with working speed of 1.5GHz. And for the fast memory access it is having 1 GB of internal RAM and it is also having a Adreno 220 GPU. These all components are fixed on a Qualcomm MSM8660 Snapdragon chipset. The device is having 32GB of internal memory storage capacity. The LG Optimus Vu smartphone is providing a accelerometer and it has a proximity sensor. Optimus Vu is having two cameras one at rear side and other at the front side. So people can take snaps, record videos, or we can do video chatting and conferencing using these cameras. The rear camera is 8 MP including the features like auto focus, LED flash,face detection and geo – tagging. This camera is having resolution of 3264 X 2448 pixels and it is capable of recording videos at 30 fps. This device is also includes a front facing camera for the video calling or chatting facility. User can get connected to the other services or devices because it is having Bluetooth v3.0 with A2DP, HS. It supports WLAN services like Wi-Fi 802.11 a/b/g/n, Wi-Fi Direct, DLAN, Wi-Fi hotspot. The data transfer speed with this device is up to 3.1 Mbps, it use E – DO Rev.A, HSDPA, LTE. It is having a micro USB card slot. It use the standard battery which is of Li – ion 2080 mAh battery. The standby time of this device is around 270 hours and the talk – time is up to 6 hours. The LG company has launched an impressive smartphone named LG Optimus 2X with exciting features and specification. Recently, I shared a story CarDekho.com launches CarDekho forum - discussion community for car passionates. KTM Duke 200 or Bajaj Pulsar 200NS: What's your pick?! There are too many bikes flooding in to the Indian two-wheeler market, which is leading towards heavy competition among the two wheeler companies. At present there are two bikes in India, which are on the same rope known to be KTM Duke 200 and Bajaj pulsar 200NS. These two bikes are doing great business in the Indian markets and giving away stiff competition to each other. There are lots of similarities in between these bikes which is leaving consumers under confusion. Interesting these two sports bikes is available under the same roof as the dealers and distributors are same. If you are really confused about choosing one of these two bikes, then it will be sensible to make a strict comparison in between these two bikes that will lead you towards one of the best among these. According to the company provided details regarding features and specifications, these two bikes fall under same engine category and styling, which makes it difficult for the consumers to choose the best. Let us start the comparison in between these two bikes but first with the KTM Duke 200 that is powered by an incredible 4-stroke liquid cooled 200cc engine that makes about 22Bhp of maximum power and 19.2 Nm of maximum torque, which is better than Pulsar 200 NS. the Bajaj Pulsar 200NS is powered by the 4-stroke SOHC, liquid cooled engine that can churn out 23.52 Bhp of maximum power and makes 18.3 Nm of peak torque, which is somewhat identical to the Duke 200. However, when it comes to the fuel efficiency, Pulsar 200NS is superior to Duke but lags behind Duke in terms of delivering high performance. KTM bikes are always known for their high performance but the main drawback of these bikes would be its low fuel efficiency. Moreover, KTM Duke Price is far more than the price of Bajaj Pulsar 200NS, which makes people to go with pulsar. When it comes to Bajaj Pulsar 200NS price, it is just under Rs. 90,000/- only, which helps many Indian bikers to afford their money on this stunning sports bike. Pulsar 200NS is all about style, performance, mileage and low pricing that allows many Indian bikers to choose it. Moreover, Bajaj bikes are coming with advanced engine specifications that are helping them to earn the trust of people. KTM Duke is all about incredible performance, styling and durability but the KTM Duke 200 price is bit too high for Indian bikers. as both these bikes comes with same specifications, features and styling, it would be better to choose Pulsar over Duke as it comes under budget and offers identical performance to that of Duke. Finally, the much anticipated bike of the year Harley Davidson FAT BOB arrived in India with an aggressive price tag of just Rs. 12.80 lakh. LG mobiles is one of the leading smartphone manufacturer in India which has delivered innovative technology in the mobile segment. Currently, the LG smartphone are mainly well known for their impressive display technology as it ensures great technology. Earlier, the company has launched an impressive smartphone named LG Optimus 2X with exciting features and specification. This flagship device is best in the Optimus lineup since its ensure great performance with its dual core processor. The device comes with highlighting features includes an imposing presence, more-than-capable hardware, a large screen, matt surfaces and an overall pleasing form-factor and build quality. It is only disappointing with this smartphone that it does not come with a dedicated camera key and lens cover. The LG Optimus 2X pictures are currently available on various online sites with different viewing angles. Currently, the LG Optimus 2X price in India is Rs. 19,990. LG Optimus 2X also contains touchscreen phone features. Measuring with the dimensions of 123.9 mm x 63.2 mm x 10.9 mm the device will be easy to hold and ideal to use. The smartphone sports with a 4.0 inches IPS LCD capacitive touchscreen display inches of capacitive touchscreen display with 480 x 800 pixels of display resolution and 16M color combination. With the great display screen, the user can enjoy bright and vivid display on the touchscreen and enjoy uncomplicated navigation. The smartphone is powered by the Android v2.2 Froyo operating system which is promised to upgraded to Android v4.0 ICS operating system. The smartphone is supported within with a powerful 1 GHz dual core processor and Nvidia Tegra 2 AP20H chipset. The device is well integrated with an internal memory of 8 GB and an additional 512 MB RAM. LG Optimus 2X features with an external memory slot that can be expanded up to 32GB. The mobile phone is having stereo FM radio with RDS facility along with lots of games, music player, and video player facility. The device is enabled with sensor features like Accelerometer sensor and proximity sensor. The smartphone boasts with an 8 megapixel camera with LED flash, autofocus and continuous shooting features that help users to take pictures of moving objects with great quality. The smartphone also features the Geo-tagging, face and smile detection, touch focus and image stabilization that enhances quality of images in low light conditions. The mobile phone provides video calling facility with 1080 pixels at 24fps. The GPS enabled smartphone ensures best navigation services as the device is equipped with A-GPS with Google Maps. The smartphone is also enabled with SMS, MMS and Email facility. The handset is enabled with lots of connectivity options like Bluetooth v2.1 with A2DP, microUSB v2.0 cable port and Wi-Fi 802.11 b/g/n, DLNA, Wi-Fi hotspot facility, GPRS, EDGE and 3G connectivity with HSPDA up to 7.2 Mbps and HSUPA up to 5.76 Mbps. The smartphone features with great entertainment services with inbuilt music player and video player with multiple format support. To ensure immersible sound quality, the device comes loaded with a rich and customized Beats Audio technology. Lava mobiles has launched Lava Iris N320 with a 2 MP camera in end of the year, 2012 with Rs. 3,999 price. Nokia Mobiles are widely liked by all for better connectivity. The handsets quality is upgraded day-by-day. Its features and applications also differ according to the demands of users. These make a greater position in society. The Smartphone of Nokia earns popularity in the hearts of people. Nokia is one of the leading mobile companies in the market. Nokia Lumia 820 is a unique phone which has smart outlook in different colors like red, yellow, cyan, grey, purple, white and black. This Smart phone construct beautifully. Its technology is AMOLED and the browser is HTML 5. The capacity of battery is 1650mAh. It provides wireless charging. It does not have any problem in making calls and receiving calls because it has excellent microphone and speaker. Nokia Lumia 820 price is Rs.19, 999. It is a mid range phone. It has dual core Snapdragon S4 processor. It is operate at a frequency of 15GHz. It consists of its own style and approach. It weighs 160g with a dimension of 123.8 mm X 68.5 mm X 9.9 mm. It has capacitive and multi touch screen. It has microSIM slot. There is a live tile on its start tool which is wonderful and helps the user to easily access the phone. Nokia Lumia 820 features are unlimited. Its display is of 4.3 inches. It has a resolution of 480 by 800 pixels. Nokia Lumia 820 is a window phone. The operating system is works on Windows phone 8. It has micro SD card slot up to 64GB.It has internal storage memory of 8GB with 1GB RAM. It has feature of light and proximity sensors. Its stand by time is 13.8 days with a talk time of up to 14h (2G)/up to 8h (3G). We can able to play music up to 55 hours. Nokia Lumia 820 pictures are clear and vibrant. We get photographs and videos of high quality with all natural colors in it. The camera of Nokia Lumia 820 is of 8 megapixels. It has dual LED flash. The camera has features of auto focus, touch to focus, exposure compensation, white balance presets and geo tagging. It has camcorder of 1920by1080 (1080p HD) (30 fps). The front facing camera is of 0.3 megapixels VGA. The camcorder has a feature of auto focus in a video and video calling. The audio player is also significant. The service of Nokia is efficient and easy. It has fast internet which guide the user in all circumstances. It has exciting games application which is appreciated by kids. Last but not the least Nokia Lumia 820 has provide us great applications and features with quality. Nokia Mobiles are well known in launching affordable handset in its low budget market segment. Recently, the company has launched a budget friendly handset in its lineup and dubbed it as Nokia 100. This a budget phone powered with Series 30 operating system to ensure better user experience. The device is aimed at budget-conscious consumers and it will be good deal to get this smart handset relatively with low price. Looks wise the device is a sturdy and compact GSM based handset. Most over the device is enabled with a 20 colorful themes which can be personalized according to the user taste. Nokia 100 price in India is Rs. 1,192 which is currently available on various online stores with great discounts. Looking at the Nokia 100 pictures, the device can be easily carried in our hands. This camera phone comes with a mono-block form factor with classic phone design. The user will be provided continuous fun as the device is powered via a standard lithium ion battery with a capacity of 850 mAh, which is capable of providing a longer talk time up to 7 hours 20 minutes and a standby time up to 840 hours. To ensure continuous entertainment, the battery is capable to ensure a musicplay time up to 21 hours and 30 minutes. The mobile phone looks compact and carry lightweight with a dimensions of 110 mm x 45.5 mm x 14.9 mm and weighs 69.9 grams. The phone is well presented with a LCD display technology. The mobile phone is well presented with a stereo FM radio option with RDS which ensures user to tune different radio stations. The mobile phone is enabled with good sound alerts with vibration and 32 polyphonic ringtones. It is preloaded with games that provides good entertainment to the users. To provide great communication services the device ensures Common inbox for SMS. The Nokia 100 features with a 1.8 inches screen along with a screen resolution of 128 x 160 pixels and a 114 ppi pixel density. When compared with the other handsets in the segment, the handset comes with quite brighter and crisp clear display. The device ensure a great user memory which is capable to store abround 500 entries of Phonebook. The phone also comes with a high clarity earpiece and loudspeaker which is provides better clarity and quality sound. To ensure trendy looks the device comes available in different color shades includes Legion Blue, Festival Pink, Ocean Blue Phantom Black, Coral Red. Nokia Asha 205 is equipped with a new feature that is Slam which easily detects nearby devices with Bluetooth. Hurray, the Finnish mobile manufacturer Nokia mobiles has finally got it right with the launch of Nokia Lumia 920. According to the latest reports, the mobile maker has reportedly received over 2.5 million pre-orders worldwide and has almost sold out in the US. Some of the reports also state that the device is currently sold out in markets such as Germany, Australia and the US markets. But it is quite to the Indian consumers, as till date there was no confirmation regarding the Lumia 920 launch in India. The most highlight features of this smartphone is that it also comes with the Blink app, which is the smartphone's Burst mode. The smartphone will feature an LCD display, which is a little higher than the HD displays available now. The device looks sporty with a polycarbonate body and the phone will be available in many colors. Nokia Lumia 920 price in India is not yet revealed but the consumers should still wait for it some time. Latest Nokia Lumia 920 pictures are available on various online sites with great resolution. It has a bright and crisp clear display screen as the device will sport with a 4.5 inches display screen which is having a screen resolution of 1280 x 768 pixels. Users can have great viewing experience as Nokia Lumia 920 comes with a PureMotion HD+ where the screen color and brightness will adjust automatically depending on the ambient light. To ensure better gaming experience the device features with a Polarization filter, Light time-out, Ambient light detector, Brightness control, Orientation sensor, Sculpted 2.5D glass, Proximity sensor, High Brightness mode, Corning Gorilla Glass, Super sensitive touch, Color boosting, IPS and Refresh rate 60 Hz, RGB Stripe and Sunlight readability enhancements. Nokia Lumia 920 is Nokia's first window 8 smartphone. With this smart device the user can ensure high performance speed and multi tasking ability as it is powered by the Snapdragon S4 chipset with a 1.5GHz dual-core Krait processor and Adreno 225 GPU. It is seems that the user can ensure great photographic experience the Nokia Lumia 920 features an 8 megapixel camera having a picture resolution of 3264 x 2448. The rear camera is capable to capture HD videos with a great resolution of 1080 pixels at 30 fps. The model is enabled with a 1.3 megapixel camera to make video calling at better quality. The device is available in exciting color options such as glossy white, yellow and black colors. The device is enabled with internet and data connectivity features like GPRS, EDGE, HSDPA up to 42 Mbps, HSUPA of 5.76 Mbps, LTE, Cat3, 50 Mbps UL, 100 Mbps DL, wireless connectivity with Wi-Fi 802.11 a/b/g/n, Wi-Fi Direct, Bluetooth v3.1 with A2DP, EDR, Near Field communication and microUSB v2.0, USB On-the-go support. The smartphone will be integrated with a user internal memory of 32GB along with a 7GB SkyDrive cloud storage. The model is enabled with 1GB RAM to ensure better performance. Finally, the much anticipated bike of the year Harley Davidson FAT BOB arrived in India with an aggressive price tag of just Rs. 12.80 lakh. The price seems to be expensive but look at the features and specifications of this superbike that explains everything about the bike. Considering all the technical specifications and features, one would definitely say that the Harley Davidson FAT BOB price is reasonable. Most important thing is that the company has managed to bring it to the Indian markets as a completely knockdown unit that helped it to obtain tax benefits and other benefits from the local and federal governments. Harley Davidson FAT BOB is a dream bike for many individuals as it is that gives you the real bike riding experience that no other bike could. It is the reason why many of them have gone crazy of this bike brand. At present there is unbelievable demand for the Harley Davidson bikes in global markets and the demand is soaring in India. This made company to focus on increasing the number of portfolios in Indian markets. The new Harley Davidson FAT BOB comes with a staggering 1585 cc air-cooled engine which is capable of producing outstanding power and a tremendous 126 Nm of torque, which is possible only with this bike. At present the new Harley Davidson FAT BOB Price starts at just Rs. 12.80 lakh, which might be expensive for Indian markets but considering all the engine specifications, it’s a complete return of value for money. To discuss about the Harley Davidson FAT BOB features, they include the highly advanced ABS, dual disc front brakes, superior handling comforts and many other luxurious features. When we just take a look at the Harley Davidson FAT BOB Pictures, we will be able to find a Tommy gun treatment at its side that is simply extraordinary. Most people prefer these bikes not just because of the wonderful riding experience but also because of the iconic soundtrack that comes out of the engine. There is no doubt that it certainly the lift the pulse rate of bikers like no other superbike in the present market. It would be a complete return of value for the money what you pay for this Harley Davidson FAT BOB. At present it is coming as a CKD unit, which is helping the company to reduce its price to an affordable level. Its price starts at just Rs. 12.80 lakh, which is very affordable compared to other Harley Davidson bikes with such specifications and features. Now, We are talking about all new TVS Scooty Pep Plus, which is a new beauty in the two wheeler market of India. Lava mobiles has creating hype in the Android smartphone segment with the launch of impressive smartphone with affordable price tag. The device is a dual SIM Android smartphone and which is dubbed as Lava Iris N320. Currently, the Lava Iris N320 price in India is Rs. 3,999. It is easy to carry and hold with its sleek and slim design around a total weight of 127 grams and dimensions of 123mm x 63mm x 10.99mm. In terms of multimedia comes with in inbuilt Stereo FM radio receiver along with that it has a multi format audio video player integrated as well. There is no secondary camera available to facilitate video calling and video chats. The latest Lava Iris N320 pictures are currently uploaded on net which are very impressive. It is a low-end Android smartphone which has been launched with an Android 2.3 Gingerbread operating system supporting with a powerful 1 GHz processor. The display is also well designed with an attractive 3.2 inches QVGA TFT capacitive touchscreen with a high screen resolution of 240 x 320 pixels and has 262k colors. It is a good option for those who want to talk more since it is loaded with standard Li-ion 1400 mAh capacity battery which is capable to deliver an excellent talk time up to 4 hours and standby time up to 390 hours. As far as the Lava Iris N320 features are concerned, they are superb. To ensure additional performance, high speed processing speed and multi tasking with the help of an additional 512 MB ROM and 256 MB ROM memory. Users can save all of their important data as it comes with an amazing 100 MB capacity of internal memory storage. The device also comes with additional features includes GSM, touchscreen, Wi-Fi, Music Player, Email, Bluetooth, FM Player, Games, Vibration Mode, Multiple Alarms, Calculator, Calandar, Preloaded Music Apps, Power Saver. The smartphone sports with a 2 megapixels camera along with camera resolution of 1600 x 1200 pixels. To ensure better performance the camera is also loaded with autofocus, flash light, 4x digital zoom and camera sensor features. The phone is also enabled with sensor features includes G-Sensor, Proximity and Light Sensor. Connect to internet with excellent data connectivity features like Wi-Fi 802.11 b/g/n, Wi-fi Hotspot, GPRS, EDG. User can share their favorite data from other smartphones or PC's with data connectivity features like Bluttooth v2.1 and microUSB v2.0 slot support. The smartphone will get good navigation services as the device support with A-GPS system with Google maps. The handset is enabled with an expandable external memory slot up to 32 GB via microSD type memory card. Recently Karbonn mobiles launched Karbonn A5 android with the price tag of Rs. 4,899. With the huge craze of Windows phones, the top leading manufacturers are looking forward to introduce innovative smartphone in this segment. Recently, Nokia mobiles is in the news with its cheapest Lumia smartphone named Nokia Lumia 510. It is recently announced in India and expected to come in mid range smartphone segment. According to some leaked videos, the consumers are expecting that the device will comes with upgrade to a Windows phone 7.8 as out of box. The device is currently runs on Windows phone 7.5 and with this upgrade the user ensure great changes includes resizable Live Tiles, re-designed system apps like Office, Xbox Games, Store, etc., 10 new theme colors, which will provide a new boot screen matching Windows Phone 8 style. The device will also comes with a Live Lock Screen Wallpaper, which was previously introduced within Windows Phone 8. Currently, the Nokia Lumia 510 price is Rs. 9,999 in the country. For better knowledge on this new upgrade look at the leaked Nokia Lumia 510 pictures available on various online sites. The smartphone looks most sleek and slim among this Lumia series. The device comes with a dimension of 120.7 mm x 64.9 mm x 11.5 mm and weighs just 129 grams. Nokia Lumia 510 features with a 4.0 inch TFT capacitive touchscreen with 16M colors. The display is having a resolution of 480 x 800 pixels and high quality pixel density of 233 ppi. The device is enabled with sensor features like accelerometer sensor, gyro sensor, proximity sensor and digital compass. To ensure best browsing experience on this wide screen the device is supported with HTML5 web browser. The user can store important data, as the device is enabled with internal user memory of 4 GB and it is quite sad that the device will not have an external memory slot. Initially, Nokia Lumia 510 is packed with a Microsoft Windows phone 7.5 operating system supporting with a 800 MHz featuring a Cortex A5 processor. The device is also enabled with an Adreno 200 GPU and Qualcomm MSM7227A Snapdragon Chipset to ensure better performance and high quality gaming experience. The smartphone comes with a 5 MP camera having a resolution of 2592 x 1944 pixels. The camera features auto focus, LED flash, face detections, and geo tagging. The camera is capable of recording videos with VGA resolution at 30 fps. The phone is not capable to make video calling and video chatting as it does not have front facing camera. The smartphone is enabled with best navigation services with its A-GPS support. One of the most popular nokia mobile Nokia Lumia 800 had a great price drop which is around 4000 which may be increase its sale. Nokia Asha 205 gets "Slam"
Nokia mobiles are recently added an ultimate social phone Nokia Asha 205, introduced with a new dedicated Facebook button. This new Facebook button makes this device a perfect device for those users who want fastest access to their Facebook profile. This device is for those digital social butterflies who are addicted to Facebook, for them it's no high-end device especially for young in emerging market. The new Nokia Asha 205 features physical QWERTY keyboard equipped dual SIM mobile device which will be available in variety of unique colors like cyan, magneta, yellow, orange, pink and white. Nokia Asha 205 will be available in market with both single and double SIM. The 2.4inch QVGA display on the handset feels just about right for this class of device which comes with a fine resolution of 320x240 pixels. This device comes with pre installed social networking sites such as Twitter, Facebook and eBuddy and it also offers a gift pack of 40 EA games which is available for download. Nokia Asha 205 is equipped with a new feature that is Slam which easily detects nearby devices with Bluetooth and share selected files without facing the trouble of Bluetooth pairing or installing Slam app. The device measures 113mm x 61mm x 13mm (4.45in x 2.4in x 0.51in) and a light weight of 94g . It also features a VGA camera with a resolution of 640x480.This device is also powered with Li-Ion 1020 battery that supports up to 11 hours of talk-time and 31 hours of music play. It consist 10MB internal memory expanded upto 32GB via microSD card slot. Connectivity wise, it supports GSM 850/900/1800/1900 frequencies, GPRS upto 85.6kbps and Bluetooth v2.1 with EDR. Nokia Asha 205 is totally designed to make a smarter use of internet. This device is also equipped with Nokia’s unique Easy Swap technology with the help of which users can swap one of the SIMs through a slot on the side and there is no need to power the phone off. This technology helps the device to remember the settings for up to five different SIM cards. The indicative Nokia Asha 205 price in India is Rs 3500. Nokia Asha 205 pictures shows a solid tactile body and the keys which are well spaced in overall size of the phone and that will facilate extended typing. Nokia Asha 205 is a handset with high quality plastics and a good design with low price which is supposed to be mostly liked by the users. I have shared a story on MTS Company, MTS has recently announce the launch of MTS MTag 281 along with MTS MTag 351 and MTS MTag 352. If you are considering to purchase an affordable and high performing hatchback car in India then you need to consider two vehicles called Tata Indica Vista and Ford Figo. These are the two most popular vehicles in Indian markets that comes with ample amount of options to choose. Both the cars falls in the same segment and same price segment with identical specifications, features and performance. If you are really confused about choosing one of these two cars, then it is better to make a comparison between them as it will help you to make out some difference. Here, we shall compare both the cars in order to make out the best car according to the budget and requirements. First of all let ust discuss about the Tata Indica Vista that comes with multiple engine options such as diesel and petrol. However, we shall compare one of its engine 1.3 liter Quadraject diesel engine, which is efficient of producing 74 Bhp of maximum power and 190 Nm of maximum torque. When it comes tot he fuel efficiency, the Indica Vista has got the ARAI certified mileage of about 22.30 Kmpl of maximum mileage, which is impressive and the best among Tata cars. If it comes to the Tata Indica Vista Price, it starts at just around Rs. 4.14 lakh. Ford Figo is the only hatchback from ford. When it comes to the engine specifications of Ford Figo, it is available with 1.2 liter petrol engine and 1.4 liter diesel engine. As we are discussing about diesel variants, it is appropriate to discuss about the 1.4 liter diesel engine that is capable of producing 68 Bhp of maximum power and 160 Nm of maximum torque. However, it is good in terms of mileage efficiency as it can give 20Kmpl (as certified by ARAI). By looking at the numbers we can find that the Tata Indica Vista has the edge over Figo in terms of mileage and performance. However, Ford Figo price is less compared to Vista. In terms of the appearance, the Tata Indica Vista has the better appearance with a lot of chrome in its front. It is integrated with stylish grille where a lot of chrome used in it. This makes the car more elegant and stylish than Figo. As far as Figo styling is concerned, it recently got the face lift but seems not very impressive as other Ford cars. 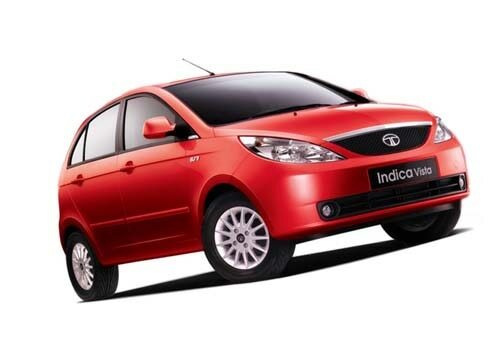 Therefore, it is good to choose the Tata Indica instead of Figo as it has the upper hand in all aspects right from the pricing to the performance. Thus, make a way to the nearest Tata dealer to place an order for the car, which will return complete value for money. HTC mobiles has revealed one more productive smartphone, the smarter cousin of HTC One X named HTC One X plus. One X plus will hit the market soon with a perfect combination of hardware and software. HTC One X plus will let users experience the blazing fast performance, this device will definitely be a attention seeker to mobile market. The key selling point of this device is its sleek and slim outlook which gives it a classy apeearance. HTC One X plus features giant touchscreen display of 4.7 inch Super IPS LCD 2 with qHD resolution of 720 x 1280 pixels. This device offers a slim profile of 8.9mm which let users feel fantastic while holding in hand. This device is all packaged in a very light weight structure of only 130grams which won't make users hands tired of holding it. This device is the first smartphone to come from Nvidia’s quad-core Tegra 3 chipset family with a fast processor 1.7 GHz. It also support LTE network which is helpful in fastening Internet speed and download. This device is also a perfect choice for game lovers as Tegra zone game library contains a huge collection of games. Additional features, the device is equipped with are HTC Media Link HD, HTC connect, Nvidia Tegra 3 Chip set and Beats Audio. Android 4.1.1 Jelly Bean available in this device introduces various new features like Google voice assistant which is named Google Now. In addition, Jelly Bean improves system performance. This device is packed with 1 GB RAM. The smartphone comes with 64 GB on board memory in which 56 GB is user available storage memory as well as it doesn't support any microSD card as a storage type. HTC One X plus sports an 8MP rear camera with HTC Image Chip and autofocus LED Smart flash which is helful in giving a clear vision of your special moment, and front camera with 1.6MP for video calls. The device comes with preloaded apps like Office Suite and Microsoft Exchange push mail, along with NFC that is Google Wallet compatible. This device is featured with Best Audio Sound Enhancement which will let users enjoy every track without any compromise. HTC One X plus pictures shows an ultimate styling and size which ensures a biggest impression on users at first glance. HTC One X plus price indicated in India is Rs. 40,190. The device ensure a new facility of Dropbox that offers an additional 25 GB to any users who register their device in One Series. HTC One X is the another high end mobile from HTC mobiles. Leading American automobile maker Ford, company is going to launch its much awaited SUV Ford EcoSport in the Indian car market in the coming year. It is an sub four meter SUV, SUV was unveiled at Delhi Auto Expo 2012. Car will be launched in direct competition with Renault Duster which is already running on the Indian roads and is quite successful also. Although Renault will be launching Renault Duster 4WD in the coming year, it is expected that both cars will be launched at same time giving a tough competition to each other. Ford EcoSport price is expected to be tagged around Rs 9 lakhs although there are rumors that car will be priced lower than Duster. Car can be aggressively priced because some parts of SUV from Ford are already present in Ford Fiesta, engine of car is already produced in the country itself. Major saving of the company will be due to the sub four meter length of the car in excise duty. Mini SUV from Renault is available in the country in eight different variants with both petrol and diesel engines. Renault Duster price ranges from Rs 7.50 lakhs to Rs 12 lakhs. If we talk about looks of the cars than Ford EcoSport is a way ahead then Renault Duster. Although mini SUV from Renault is pretty as well. If we take a look on power and performance of the cars than Ford wins the toss by providing better power of 118bhp whereas Duster is providing the power of 85bhp. Ford is claiming mileage of around 16 kmpl whereas Renault is offering mileage of 7 kmpl which is very low as compared to SUV from Ford. Apart from all these Ford EcoSport is coming with both manual and automatic gearbox, on the other hand Duster is having just manually transmitted gearbox but there are rumors that Renault Duster 4WD will also be having automatically transmitted gearbox which readily falls in hand. So overall it appears as if Ford will be doing amazing in the Indian car market and will prove to be a tough contender to Renault. But also Renault duster 4WD will definitely be doing well in Indian car market, although Renault has already entered into the hearts of Indian car enthusiasts, which will be the plus point for the company. At present Some Ford cars are already running on Indian roads like Fiesta, Classic, Endeavour. Some Renault cars are also running on roads like Pulse, Scala, Fluence. Lava mobiles have been popular since their inception in the Indian market. The brand has been the pioneer in making many innovations in the mobile handsets like incorporation of an Intel processor in Lava XOLO X900. Now, the brand has come forward with a new XOLO brand mobile phone that is named Lava XOLO A700. This is a dual SIM smartphone and is powered by 1 GHz dual-core MediaTek MT6577 processor. Like all smartphones, this one also runs on an Android platform. This is a dual SIM smartphone with many eye-catching features. Lava XOLO A700 price is Rs. 9,999 and is currently available at a portal named Flipkart. It is speculated that Flipkart will make available this mobile phone to your doorsteps within 6 to 8 days of order placement at the website. Thus, the price is really an affordable one and the superb finish of the body lures the phone user all the more to grab the nice phone. It comes with a 4 inch LCD display that has a good screen resolution to view the images in a perfect manner. It also boasts of an excellent auto focus camera of 5 megapixels with flash facility to capture brilliant pictures. Lava XOLO A700 features includes a 512 MB internal memory and 4 GB of external memory. The external memory can be expanded up to 32 GB using the in-built microSD slot. It has a 1700mAh battery, and the talk time offered by the mobile is also very good. If you are fond of making videos through your mobile phone, then this one is indeed the right pick as the smartphone enables 720 p high definition video recording for its users. The other features of this supremely built mobile phone are Bluetooth connectivity and Wi-Fi so that one can access the web from anywhere through the use of this device and stay connected. Lava XOLO A700 pictures clearly depict that it comes with a wide touch screen, a rear camera as well as a front camera for the purpose of video conferencing. The body has rounded corners to have an easy grip over the phone and minimal external keys. The design is minimalistic and will be loved by all irrespective of age and profession. It is believed that the phone will face a stiff competition from Karbonn A21 and Micromax’s Canvas 2A100. However, the price of both the phones is relatively higher than that of Lava XOLO. The joint venture of Intel brand with Lava mobiles both has launched their first Android smartphone Lava XOLO X900. The Karbonn mobiles have got huge success when it has launched Karbonn A9 and A7. So, now it has thought of launching something very different from all its models so that they can stand indifferently for each other. As they have thought so, they have launched their new model too. We will discuss in detail about the new model of it here. Karbonn A5 plus is the new model that has been launched by Karbonn very recently in the market. The handset not only looks very stylish, but it is also amazing and there are many users of it in just a few weeks time. As we have found that this new model has become very popular in a few days hence, it is very important that we should discuss in detail about Karbonn A5 plus features. To start with it is a dual SIM Android phone. With this phone you will get Gingerbread as the operating system and it also has a 1 GHz processor. It has 3.5 inches capacitive touch screen along with the resolution of 320 x 480 pixels. You will find that the 3.5 megapixels camera is of very good quality and you can really click some of the great pictures to keep it in your memory. The rechargeable battery is of high capacity and can actually provide you a good standby talk time. It has 1420mAh battery that is considered as the strongest point. With this phone you will get the use of the Internet and can also avail the facility of WiFi very easily. There are many games and applications that are available here with the help of which you can enjoy your leisure time activities very easily. Other than these features there are many more features of this phone that you will simply love about. So, if you have planned to get this phone it is very important that you should also know about Karbonn A5 plus price. You will be surprised to know that this phone is not at all expensive and is very easily affordable by almost everyone. It has a market price of Rs. 4,899. But, if you buy it from some online store then there are fair chances that you will get a discount for it. Now, if you haven’t yet had a glance of this model then it is recommended that you should definitely visit the official website to have a glance to the Karbonn A5 plus pictures. This is really very stylish phone and you will get two colors which are black and white. Recently, HTC mobiles has announced a sad news that HTC One V has not been listed for latest jelly bean update. MTS mobiles have brought forth three new Android smartphones in the Indian market. SSTL, which runs across the country under the name MTS, has recently announced the launch of these smartphones – MTS MTag 351 along with MTS MTag 352 and the MTS MTag 281. These three smartphones from MTS are launched to tap in the Android market spread across the country. All the three phones run on the previous version of the Android OS, Android 2.3 and also they come coupled with unlimited data plans from MTS. Some of the common features also include the supreme Snapdragon processor, a 3MP rear camera and various options for connectivity. The MTS MTag 281 pictures suggest that the smartphone has a sleek look and is easy to handle. The MTag 281 is supported by the Android 2.3 version, that is, the Gingerbread operating system. The processor that runs the machine is a 800 MHz Qualcomm’s Snapdragon S1 processor. The MTS MTag 281 features also include a 2.8 inch dimensionality touchscreen with a pixel resolution of 240 320. The device is powered by a 1200 mAh Li Ion battery. There is a 3MP rear end camera and the memory slot contains a memory support up to 32 GB. A 2 GB memory card comes with the phone. Available in three different spectacular colors, the MTS MTag 281 price has been fixed at Rs. 5499. Also you get features like FM, Wi-Fi 802, MTS live, etc. MTS MTag 281 feature make it an excellent smartphone. Not only do you get to go home with these wonderful specifications for your phone but MTS has also included special Tariff and data plans for its users. For the MTS MTag 281 there is an exciting offer that includes 512 MB of data free for usage in the first three months from the date of activation. Also the users would receive the special local call offers of half paisa per second for three months as well. The two other phones launched along with the MTag 281 are the 351 and 352 models of the MTag series. The features of the other phones are more or less common with the 281 model. The screen of the MTag 351 is a 3.5 inch HVGA display with a VGA front camera. The battery is 1300 mAh Li-Ion while the price is at Rs. 7500. The MTag 352 includes a 3.5’’ touchscreen with a 1400 mAh battery at a price of Rs. 6499. Fiat Grande Punto 90HP Sport car is the blend of powerful brakes and ecstatic speed, providing ride of the lifetime with peak speed being 170km/hr at fifth gear. Even on rugged terrains and bouncy roads, it rarely loses its stability with smooth four wheeler movement and hassle free engine. Fiat Grande Punto is an Italian automobile based company made car with added body graphics, door handles and unique red stitching on the seats. 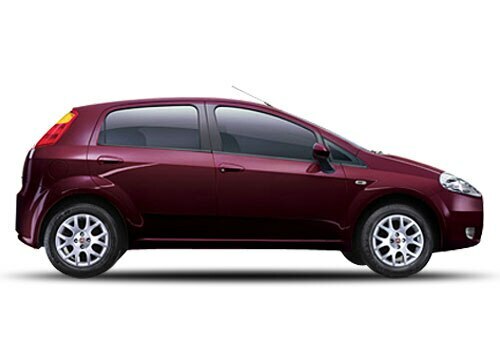 Fiat Grande Punto covers maximum distance at minimal time and provides luxurious trips and comfortable journey. It’s powerful brake control and handling features is the best part about it in comparison to other cars which provides 1/3rd less powerful handling and brake controlling. 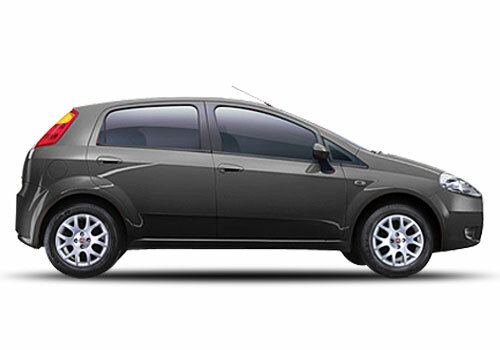 Fiat Grande Punto features are extremely superior in comparison to previous Fiat models and its interior is rock solid. Its speed goes up to 110km/hr as soon as it reaches 3rd gear and 170km/hr as it reaches 5th gear. Its equipment seems extremely impressive and has a 5-speed gearbox. The turning radius of Fiat Grande Sport has been kept at 5mtr which is lesser in comparison to its previous model which provides 5.4mtr. Fiat Grande Punto pictures gives an overall view of a dashing and sporty car which is actually true. Brakes and Handling are par excellence and simply thrilling which makes Punto spectacular and composed vehicle. It has got great speed stability which is undoubtedly one of its most amassing features and Fiat Grande Punto price is equally reprimanding making it the best car around at its given price. i10, i20 and Swift provide 12 km/l returns in the city and 15km/l returns on highways. While Fiat Grande Punto provides 15km/l returns in the city and 17km/l returns on highways making it a far better car in comparison to its counterparts in respect to diesel. Fiat Cars have always believed in providing more than the value of the car and this time also they have been successful in delivering their promise. Well it has to be stated that when it comes to the highway, the classic combination of excellent gear control and brake provides best and incomparable speed which will surely bring smile on the traveler’s face. 2012 Fiat Punto is by far the car of the year with spectacular features and stylish sporty looks. Addition of graphics, chrome setups and red stitches on gearbox has made it even more favorite and a must have car. Fiat Punto provides much more than its value and fulfills all the desires to own a perfect car. I shared that Nissan Evalia get minor updates. There are plenty of rumors going around the markets about the CNG car version of Volkswagen Vento that it is going to be launched in the markets soon. Making those rumors right, some of our trusted sources have managed to get the Volkswagen Vento pictures on roads, while it was under testing condition. Although there is no official wording from the company regarding this version, some of the officials have spoken to us about the plans to introduce this vehicle. There is no information regarding the date of launch or regarding the features, specifications or any other details about the car. There is no doubt that the company will be launching this much talked vehicle sooner this year or by the first quarter of 2013. This move will definitely help the company to stretch its Indian market share to a new high. Currently, all the Volkswagen cars are doing exceptional business in India but the company is looking to expand its business to reach the number one slot in the markets. It is a fact that diesel engine cars will help company to draw in more number of customers towards the showrooms. When it comes to the pricing, Volkswagen Vento price is expected to be just Rs. 40,000/- to Rs. 50,000/- higher compared to the existing models Vento, which will be reasonable. Most of the market experts believe that the Volkswagen Vento CNG will be coming with the same 1.6 liter petrol engine but with CNG kit installed at the rear. This will certainly improves the mileage of the car but might cause affect on its performance. To discuss about the Volkswagen Vento Features, features such as ABS with EBD, central locking, air conditioner, music player, power adjustable side mirrors, steer mount audio controls, Bluetooth, USB interface and many other features might be included that will enhance the luxury of the car. However, all these features will depend upon the variants. As discussed earlier, the car will be equipped with a 1.6 liter 1598cc engine with 4 cylinder and 16 valves that churns out tremendous power and torque that makes the drive to feel the power of vehicle. There is no wonder that the Volkswagen Vento will be delivering a great performance like other cars and moreover, it will be giving more mileage that makes it an ideal vehicle for Indian families, professionals and other individuals. Waiting for this model will not just be beneficial but it will be far more than worthy. Its launch is somewhere in the month of December of in the month of January, which is just about few weeks away from now. Tata Aria has powerful diesel engine. Big news coming in from the BMW Group India is that the company is planning to launch the BMW 1 Series hatchback car in India. This is certainly big news for the car enthusiastic as now the BMW is planning to roll out a stunning new Hatchback in to the Indian markets. This will certainly heat up the automobile markets in India, especially in the small car segment. However, pricing of this vehicle is a bit of concern as the BMW 1 Series Price is expected to be around Rs. 20 lakh range, which is considerably expensive. However, car enthusiastic will be looking for the quality, brand value and style of the upcoming BMW 1 Series, as it is superior in all these aspects. Another most important thing is that the company is planning to manufacture it locally that will reduce its pricing for India. During the launch of BMW 6 Series car, the company’s president Mr. Phillip Von Sahr has said at the company is planning to launch 1 Series BMW car, which will be in the year 2013. This Series 1 model has been doing decent business in the international markets since 2011 when it was first launched. The company is hoping that the car will continue its winning streak in India as well. Now let us take a look at the BMW 1 series features and specifications that explains everything about this wonderful hatchback. The car comes with three engine options such as 1.6 liter petrol, 2.0 liter diesel and 3.0 liter petrol engines. However, the company may not launch the 3.0 liter petrol engine version in India but the low displacement 1.6 liter petrol and 2.0 liter diesel variants are possible options for Indian roads. 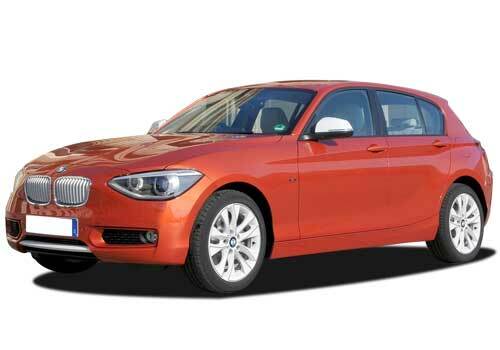 The launch of this hatchback will definitely help to improve the sales for BMW cars in India. As far as features are concerned, the car will be hosting all kinds of luxury features that offer the lavishness on the go. When you take a look at the BMW 1 Series Pictures, the car doesn’t have a gen-next look but the body design resembles like a classy-present generation car. One thing is sure that the vehicle has a heads turning design that suits according to your personality, status and style. The wait for this vehicle will be about a quarter or a couple for the car to arrive in Indian markets. In Indian markets, this hatchback will have to overcome the competition from Volkswagen, Mercedes and few other brands that are all set to roll out the next generation small cars in emerging Indian markets. I shared that Rang Rover available with good engine spec. 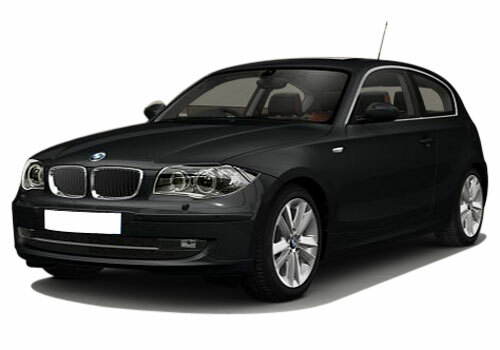 The German car manufacturing giant BMW is considering launching the BMW 1 Series in emerging Indian markets in the late 2013. This is big news from the German auto giant for the Indian markets. Today, there is a huge demand for the hatchbacks in India, as they are low cost, fuel efficient and comfortable enough for Indian families. This is certainly driving sales towards the small cars in India. This is the reason why the car manufacturing companies from across the globe are concentrating on introducing hatchbacks cars suitable for Indian markets. 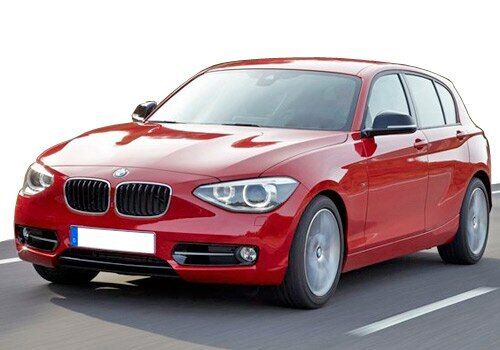 Now it is time for the BMW to introduce the BMW 1 Series hatchback in India. This vehicle is already in the global markets and is doing well in terms of sales. This vehicle will acquire a special position among BMW cars as it is the first ever hatchback for India from BMW. At this point it is difficult to say about the pricing or engine specifications for Indian markets as the vehicle is available with three engine options in global markets. Market experts believe that the vehicle will be available with 1.6 liter petrol and 2.0 liter diesel engine options in India but the availability of 3.0 liter petrol variant is in doubt. This might take the BMW 1 Series price to somewhere around Rs. 18.5 lakh to Rs.20 lakh (ex-showroom price) in India. To discuss about the BMW 1 series features, the vehicle is expected to come with 1.6 liter petrol engine that can make 136 Bhp of peak power and generates 170 NM of peak torque. Another variant is expected to come with 2.0 liter diesel engine with an ability to make 143 Bhp of maximum power and 200 Nm of peak torque. Both these variants are expected to mate a six speed automatic transmission gearbox that will enhance the driving experience and comforts. The car will be produced locally in India that might help company to place it with aggressive price tag. There is no information regarding the features of this hatchback for Indian four wheeler markets. However, it will be equipped with all kinds of high end features that meet the international standards. The BMW 1 Series Pictures have already earned a spot in the hearts of many in the world because the car has got a dazzling appearance with classy present generation design. The company has crafted this car beautifully that turns the heads on the go. There is no doubt that the car will do a great business in Indian markets by offering incredible performance, and features. It will be just about few more months before the arrival of this stylish hatchback car in India. Volkswagen up CNG a new version of hatchback. Yes! World’s most popular car manufacturing company Ford is all set to launch the Ford EcoSport Compact SUV in the Indian four wheeler markets sooner than later by the end of this year. The Ford Ecosport price is expected to be under Rs. 6.5 lakh, which is less than the price of Renault Duster. This brings a lot of excitement among SUV lovers and car enthusiasts as it is coming with affordable pricing. Perhaps one should consider the highly advanced engine of this vehicle, which is said to be a 1.0 liter engine but is capable enough to generate a power like 1.6 liter petrol engine, which is simply unbelievable. Now, there are several advantages associated with this vehicle such as its sub 4 meter length and 1.0 liter eco engine, which are helpful for reducing the price by availing tax benefits. Its gen next appearance has got the attention of many in the world as it has the DNA of a Sedan and a SUV that helps professionals and individuals to use it for daily urban usage and for adventurous travelling purpose. Not but the least, its mileage will be one of the main advantages of this vehicle as the company claims that the vehicle will deliver more than 20 % of mileage compared to 1.6 liter engine SUV. People who are really concerned about the pricing, style, performance and mileage should have to wait for the launch date of Ford EcoSport, which is around the corner. This car represents the heights of Ford cars innovative technology that is going to change the world of four wheelers forever. As of now, there is no information from the company regarding the Ford EcoSport price for Indian markets but experts believe that the price will be under Rs. 6.5 lakh considering its engine specifications and the company’s aggressive moves to compete with others. It comes with some of the smart features that make it one of the affordable compact luxury SUVs in the market. Thus, we can expect for some of the top end Ford EcoSport features in this car. The pictures of this vehicle look pretty amazing because of the heads turning body design with amazing front and rear view that is beautifully crafted. One should look at the Ford EcoSport Pictures that explains about the styling of this SUV. The company is all set to bring this vehicle by the end of this year or most probably by the first quarter of 2013 which is around the corner. It would be far more than worthy to wait for this vehicle as it is going to be a vehicle that steals the thunder in the SUV segment. Honda cars launch Honda Amaze diesel with an aggressive price. Automatic machines are much in demand and in short span of time people have so much to do and very often they are heard cribbing that they don’t really find time to do lot of things and this causes stress in them. Cars are a very integral part of their day to day routine and it is very important that consumers find the right kind of car to match their routine. Very often people are seen preferring the automatic cars which makes life simpler. Maruti cars have a family of automatic cars and the company is on a spree and has added one more member to its family. After the very famous, Swift Dzire automatic, A-Star automatic and the SX4 automatic comes the launch of Maruti Ritz in India and as disclosed on the site of the Maruti Company, petrol car buyers will get this option for the Vxi trim and with this the Maruti Ritz price comes under the bracket of Rs 5-6 lakh. Powered by K-Series engine, Maruti Ritz automatic is competent in offering perfect balance of high performance, soft drive and impressively great mileage of 17.6 kmpl which is around 1.33 kmpl lesser than its manual version. Automatic transmission not only adds zing but Maruti Ritz features are completely new and the equipment list like the immobilizer, light off and key off reminder, side body moulding to mention a few of them. 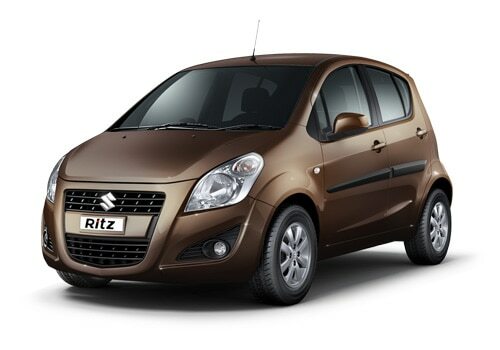 After the features come the facelift Ritz model’s looks which the Maruti Ritz pictures give it a refreshing look and better interiors are provided. There is new front grille, fog lamps, bumper, headlights and bonnet. It is the heaviest petrol engine car in the variant line up with 20kg extra weight. With the rise in the petrol prices so often buyers are switching on to the diesel variants or any other alternate and with this it’s a challenge for the Maruti Suzuki India to bring on some petrol variant which is not only reliable, fuel efficient and maintenance costs doesn’t break the back of the common man. Ritz automatic is a perfect gift and a promising alternative option over the manual gearbox version for car lovers. 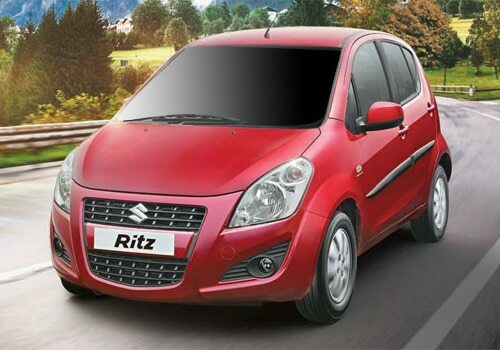 Though the pricing details is still under wraps and lot of speculation around, Ritz much awaited launch only in Vxi petrol is a time for the buyers to hold the hands of most reliable and largest car makers of the country. I shared that Nissan Evalia might get minor updates.